Has the long, hot summer of seemingly never-ending lawn maintenance got you down? 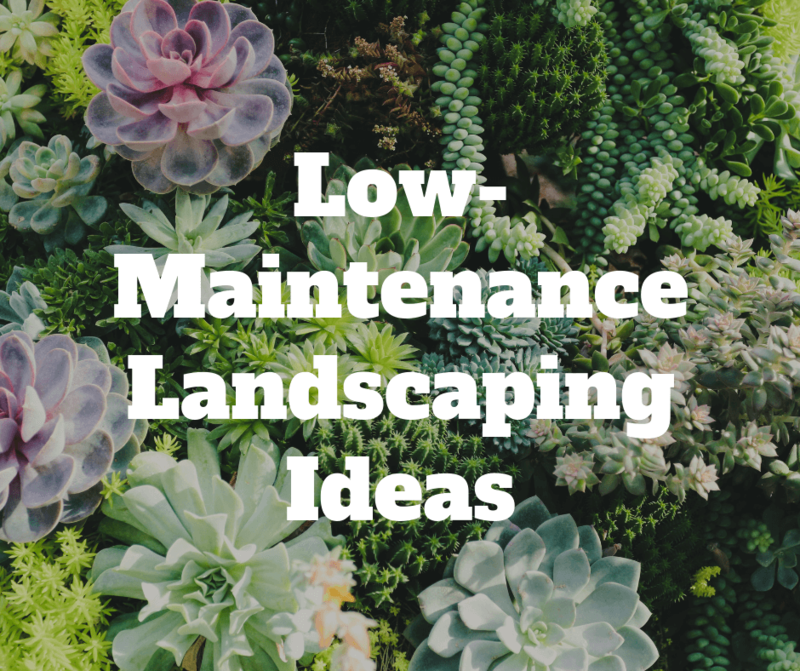 You could pay someone to do all those jobs for you — or you could put the money back into your house by investing in low-maintenance landscaping features that lighten the workload. It is possible to increase your enjoyment of your outdoor space without taking on a whole new set of chores. When you add easy-to-maintain elements, you can avoid hard work while making your home a better place. Here’s how. Have you thought that outdoor space equals upkeep? You must not have a well-designed patio, screened-in porch, or composite deck. By adding new outdoor living spaces, you can increase your home’s functional space while reducing the area of actively growing grass and plants needing to be kept alive and under control. Put them in once, and stones won’t go anywhere! For a durable stone that holds its appearance for the long term, use bluestone (available in a variety of colors) or white stone. Don’t have the time, patience, or resolve to rehabilitate your lawn over several seasons? Take a shortcut with a professional sod installation. It’ll give you an instant, perfectly-manicured lawn in a single day. As the grass grows, it’ll require watering and care just like any other lawn, but choosing a variety that grows naturally in your climate will minimize maintenance. Are you letting your deck disintegrate? Maybe you refuse to build one because of its impact on your to-do list. In 2018, you can have your deck (porch, shed, or gazebo) and not maintain it, too. Modern composite decking takes all the hard work out of owning a beautiful deck. Some finishes mimic the finish of wood, and all composite materials avoid the drawbacks of natural timber. They retain color beautifully, they don’t splinter, and they’re impervious to bees, termites, ants, fungus, moss, mold, water, weather, and even chemicals. Composite decking is insanely low-maintenance and lasts forever! Another way to add color and texture while subtracting maintenance is to implement mulch or crushed stone into your landscape. Mulch is more affordable than rock, but you’ll have to replace it once a year. Stone has a higher price tag, but it lasts forever! Mulch or stone beds can border just about anything – hardscaping or softscaping. You can find easy-to-manage plants by looking for varieties that naturally require little intervention, as well as for types that tend to thrive in your climate. Rather than requiring you to engineer a controlled environment, they’ll flourish in your yard the way it is. When it comes to greenery that’s low-maintenance by design, start with perennials which will come back year after year. Succulents and ornamental grasses are not only low maintenance but also drought resistant. If you’re in need of landscaping or hardscaping help in Northern Virginia, get an estimate from NOVA Landscape & Design. Our landscape designers will work with you to choose the perfect elements for your lifestyle, whether you’re into honing your green thumb or kicking back and relaxing. Plus, we work with Outdoor Showplace, so you can check out everything we’re capable of building and all the products we use, all in one place. There’s no obligation. Request an estimate today!